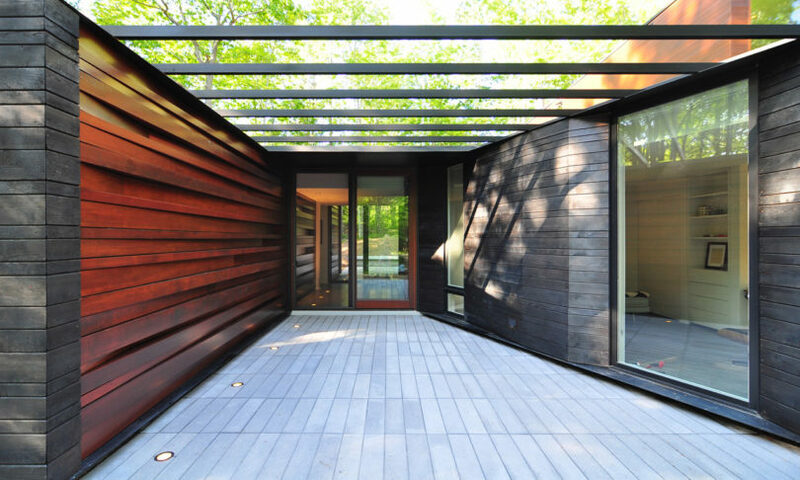 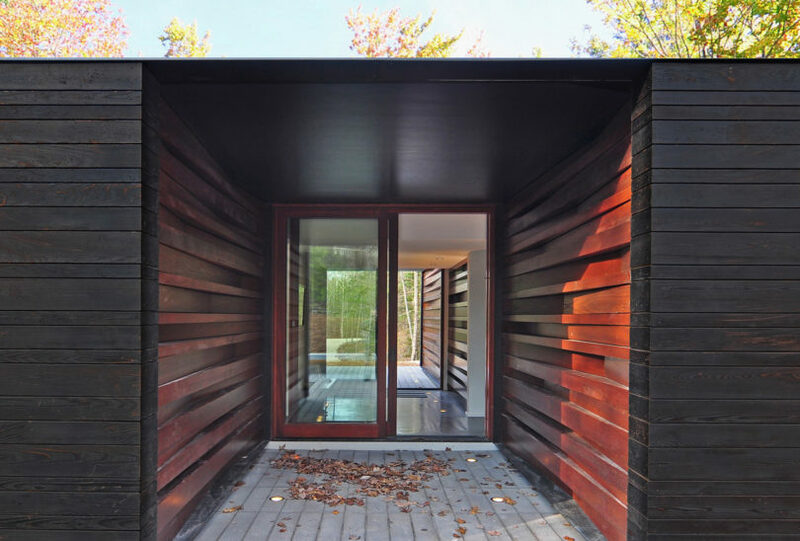 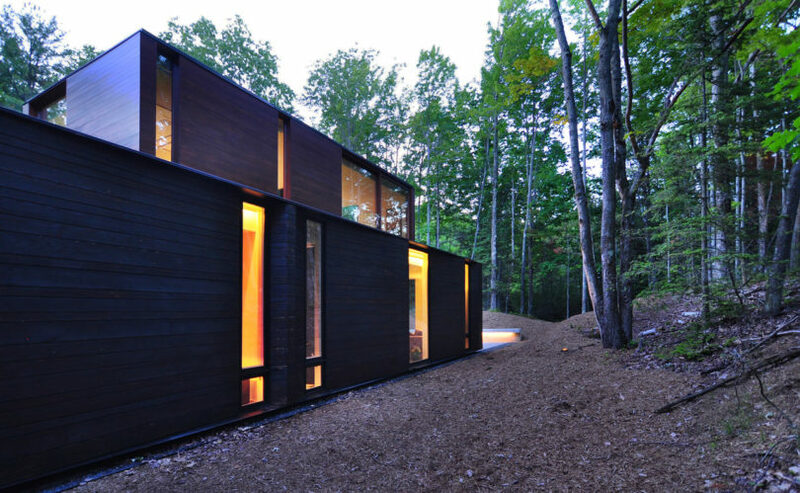 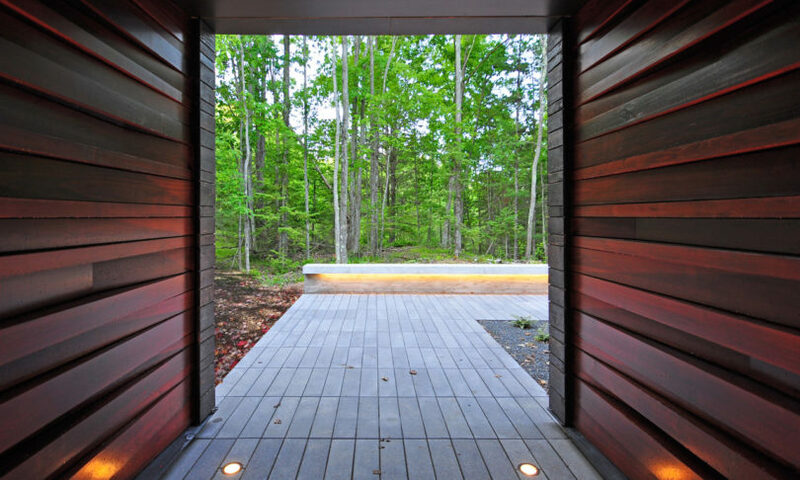 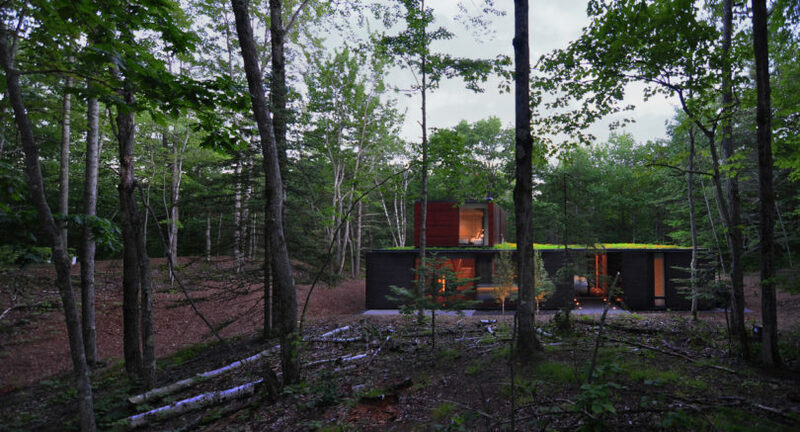 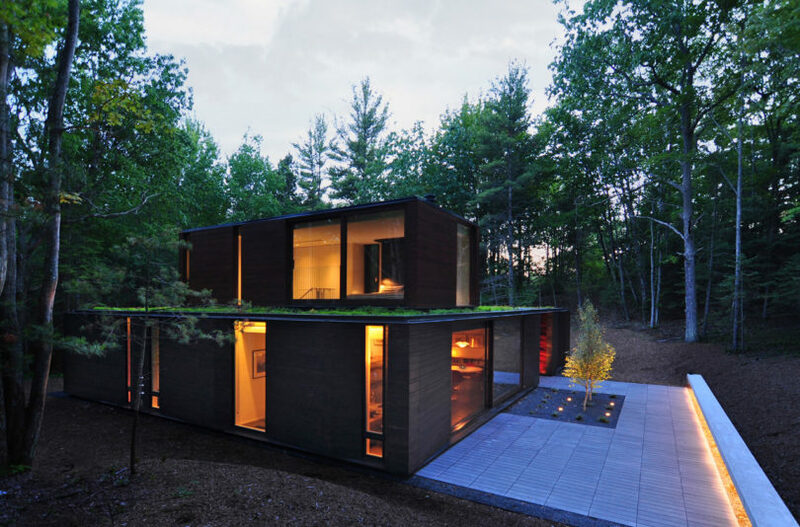 Designed by Johnsen Schmaling Architects, the Pleated House resides within a lush forest of trees on the eastern shore of Wisconsin’s Door County, a peninsula on Lake Michigan. 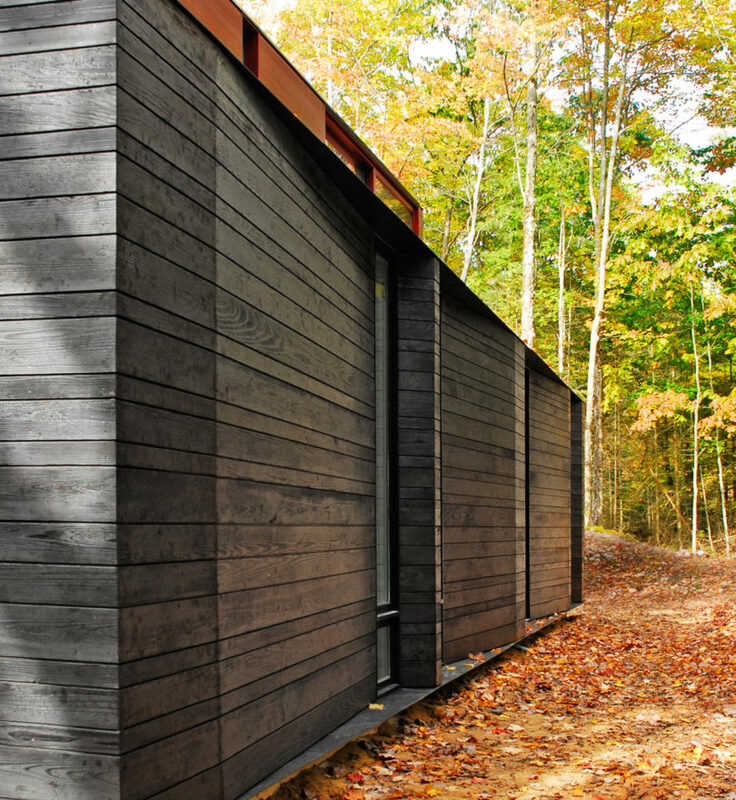 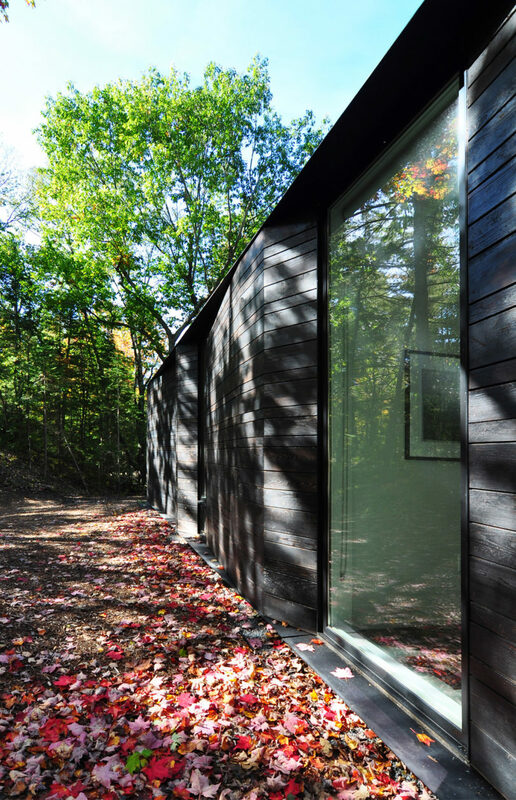 The house sits in a clearing, almost disappearing into the wooded landscape, with the help of charred cedar siding from Northern Wisconsin. 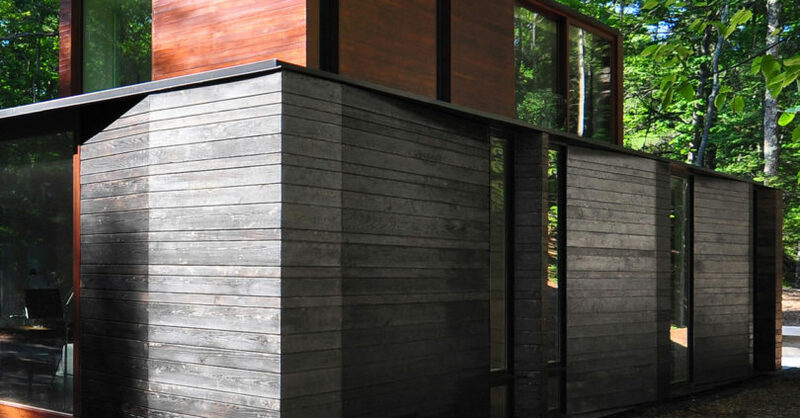 The textured, blackened siding is paired with varnished cedar panels and Marvin Ultimate Casement windows and doors comprising dark-anodized aluminum and glass that offer a seamless look against the siding. 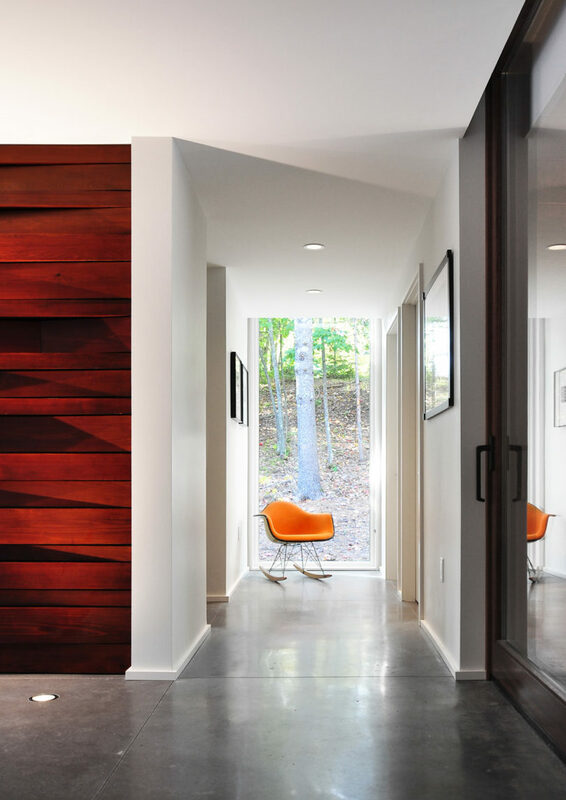 The exterior walls were installed with varying depths in a way that mimics the look of a pleated curtain, hence the home’s name. 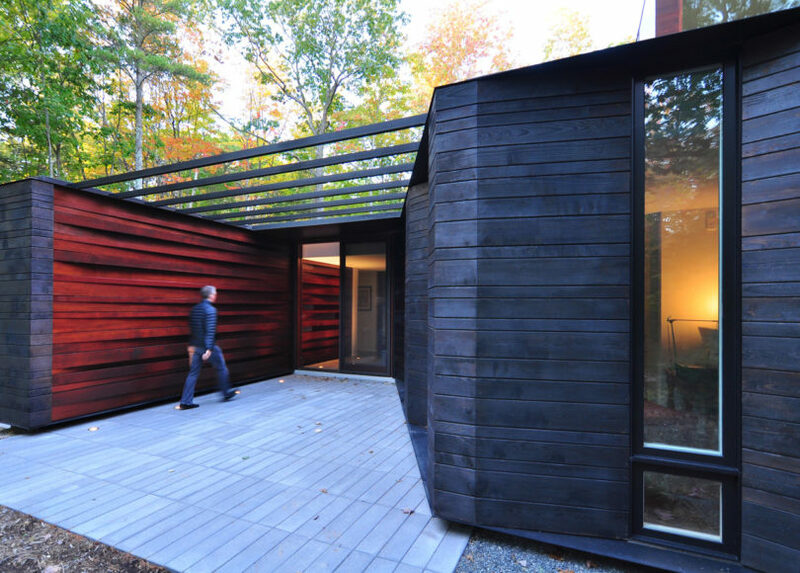 The gentle folds break up what could have been a basic solid exterior. 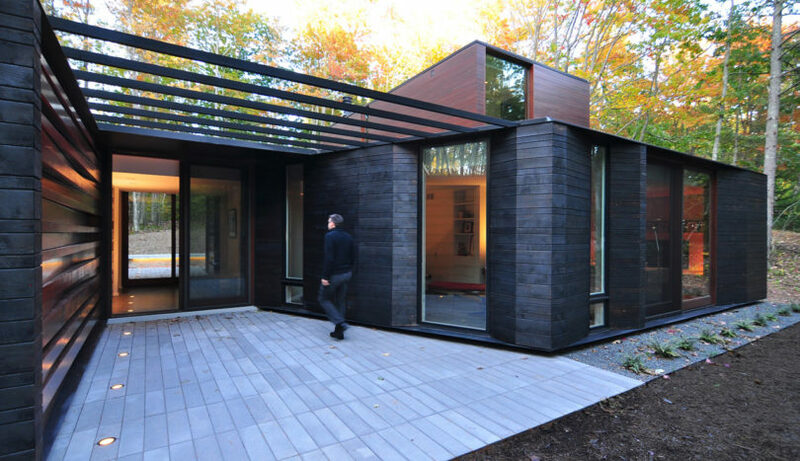 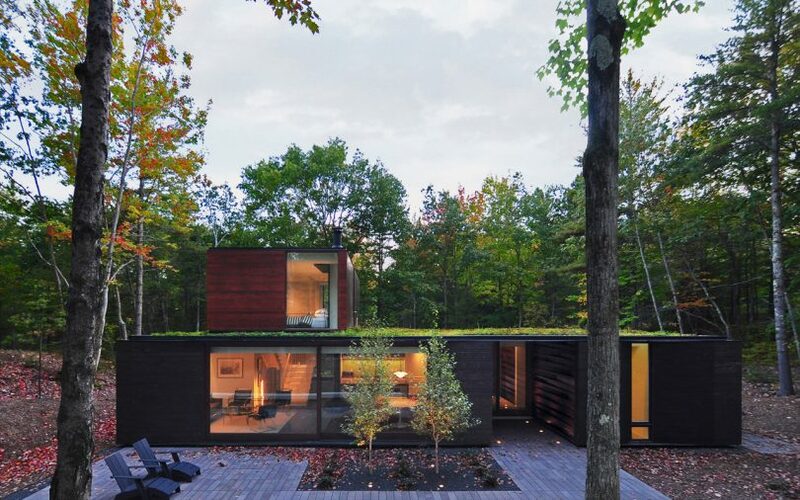 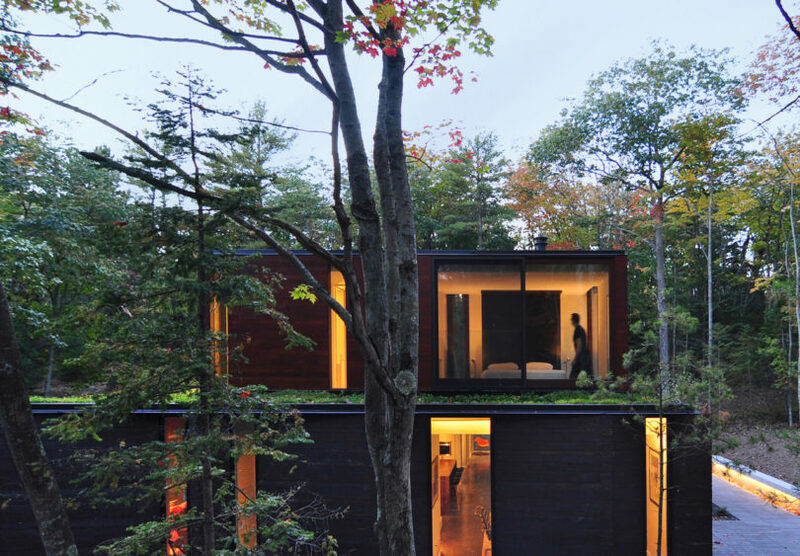 A much smaller second floor rests atop a green roof off to one side. 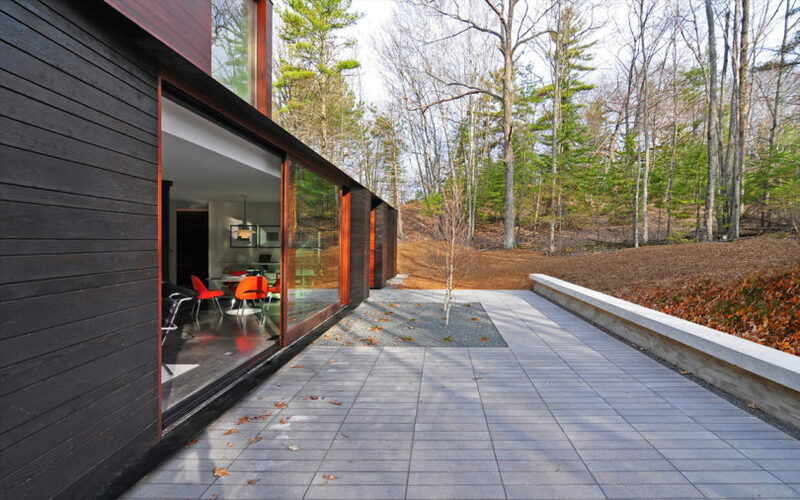 Floor-to-ceiling Marvin sliding glass doors open to the outside making it feel much larger while providing plenty of daylight to the interior. 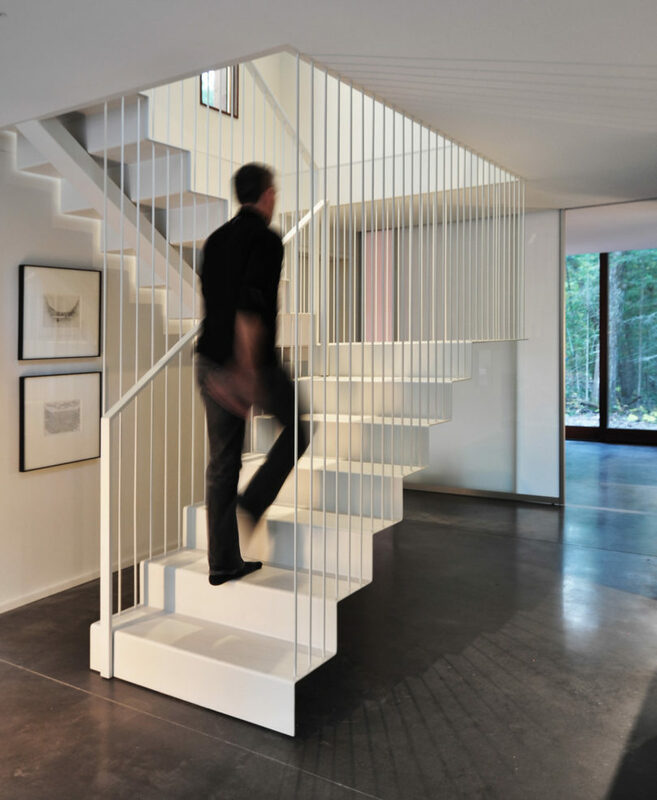 The interior is designed in contrast to the exterior with smooth white surfaces and grey polished concrete floors.